LoveLove Films are incredibly proud to reveal that our managing director Georgina Hurcombe has met all the requirements of the Carbon Literacy Standard. Following the successful completion of carbon literacy training, Georgina has received a certificate of Carbon Literacy from the Carbon Literacy Project (CLP). The certification further reinforces both Georgina’s and LoveLove Films’ commitment to securing a more sustainable future for our planet. What is Carbon Literacy, and why is it so important? As defined on the CLP’s website, Carbon Literacy refers to “an awareness of the carbon dioxide costs and impacts of everyday activities, and the ability and motivation to reduce emissions, on an individual, community and organisational basis.” The term therefore describes an awareness of climate change, and the capacity to use this knowledge to generate positive shifts in the way we respond to our planet’s changing climate patterns. Georgina’s Carbon Literary certificate was authenticated via the BAFTA albert Consortium, a leading environmental programme working to promote sustainability in the film and television industry. Founded in 2011, the BAFTA albert Consortium advocates sustainable production methods and provides information and guidance to diminish the environmental impact of moving-image media production. Environmental sustainability is an issue that is incredibly close to LoveLove Films’ heart. Our developmental project Bottle Island is a preschool adventure series that encourages children to care for their planet through themes of conservation, preservation and issues surrounding plastic pollution. 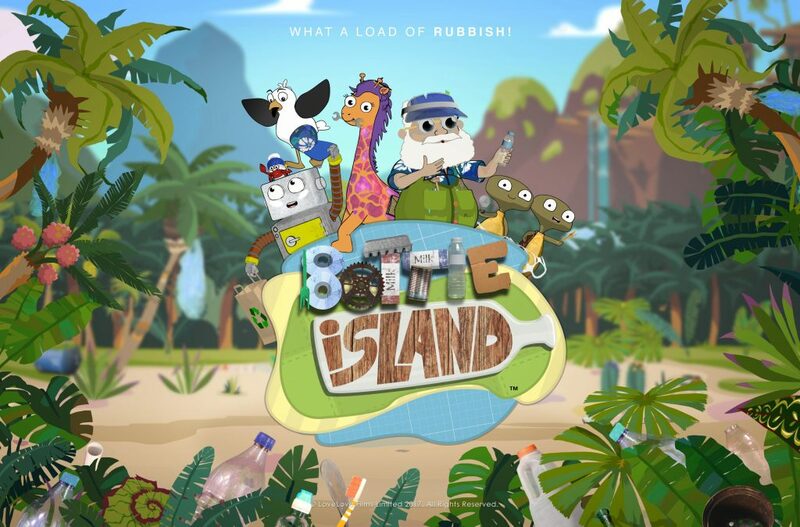 The series was created using a 2D / 3D mixed-media approach, and it follows a group of quirky friends as they work together to try and save the island from the rubbish that washes up on shore. For World Environment Day 2018, LoveLove Films produced an educational animation in association with the United Nations; the short animation used characters from Bottle Island to highlight the importance of combating plastic pollution for children.